The U.S. Army had reached the western border of Germany at Roentgen, south of Aachen. on September 12, 1994, and had achieved a break through the Westwall. Outfits of 1st InfDiv and 3rd ArmoredDiv didn't face much opposition. Tanks, supported by infantry, raced forward during the next days and already reached the town of Schevenhütte on 9/14/44. 12th InfDiv, under the command of Major General Engel, had been transferred from the east and disembarked in mid-September in Jülich and Düren. The troops were thrown to the front in order to close the gap between Stolberg and Schevenhütte. In a combined effort, InfRegs 48 and 89 and FusReg 27 managed to close the gap in the front-line and sealed off the American advance for now. Heavy fighting broke out for the possession of Stolberg, Mausbach, Hastenrath, and Scherpenseel. Even the smaller towns, such as Werth or Krewinkel weren't spared. After the surrender of Aachen on October 21, 1944, the day on which Colonel Gerhard Wilck ordered his men to stop fighting, most of the front-line could be held. Heavy fighting occurred only around Verlautenheide because the Germans intended to hold on to this strategically important plateau at all cost. The allied offensive that the Americans termed "Queen" - the Germans called it the Third Battle of Aachen - began on November 16, 1944. Since morning several thousand planes attacked the towns and villages close to the front. The objective of the shelling was to weaken the main-combat line so much that it would be easy to be overrun. Another goal was to destroy all possible supply lines. This meant that strategically important crossroads, such as the one in Langerwehe that connected Main Street, Luchem Street, Old Church Street, were specifically targeted. But even our hometowns, villages really, Schlich/D'horn/Merode/ Obergeich got their share. The civilians who had persevered were hard hit with heavy casualties. In our parish alone, 52 people died and many more were wounded. Several farmers had gone to work their fields that morning. The attack caught them by surprise. Merode and Schlich were the hardest hit of the villages. Many houses were destroyed or so heavily damaged that they seemed uninhabitable. In the afternoon of the same day the nearby county seat, Düren, was leveled. People who had been in town to go shopping, soldiers on their way to the front, and the population of Düren had no chance to run from this inferno. More than 3,000 men were victims of this attack, nobody knows the exact number. The division with its Regiments 103, 104, and 105, took over the front-line from Derichsweiler to Merode, Heistern, and Bovenberg, in some places even all the way to Weisweiler. 1st American InfDiv advanced fan-shaped from Schevenhütte. Regiment 16 advanced toward Hamich where heavy tank, infantry, and house-to-house combat erupted. The town changed hands several times and many soldiers of both armies remained on the battlefield for all eternity. Regiment 18 advanced through the Wehebach valley toward Wenau and Langerwehe and Regiment 47 of 9th Division fought its way into Gressenich. Regiment 26, also part of 1st Division, thrust through the thick of the forest to the east, direction Düren. Around 11/20/44 the Laufenburg had been reached. It was to change hands quite a few times as well. The Americans lost several tanks there to the fierce resistance of the infantrymen that had dug in inside the castle. At the same time the Germans had made good use of the time by fortifying their positions along the Erbsweg where they met the Americans with determination. The towns were under a constant barrage of artillery fire and bombs dropped by fighterbombers. On November 17, 1944 allied fighter-bombers attacked a formation of tanks in Merode. Two of the planes were shot down. The other planes subsequently bombed Merode castle and the damages were considerable. The tower of the chapel was completely destroyed. An artillery observer who had been stationed in the tower, was thrown high in the air by the pressure of the detonation, He woke up in a meadow. He was fine except for a few bruises. 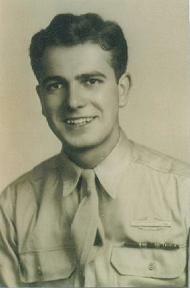 Approximately on 11/26/44 3rd ParaDiv, called in from Holland, was led to the front from Gey and Inden. In the Schlich and Merode area ParaReg 5, led by Lieutenant Colonel Karl-Heinz Becker took over. I. Battalion, led by Captain Siegfried Platz, and II. Battalion under the command of Captain Georg Schulze set up their command posts in Merode. II. Battalion, led by First Lieutenant Udo Balfanz defended in the Langerwehe-Jüngersdorf area. The command post of the battalions in Merode was set up in house Scmhmitz-Schunken. An aid station was set up in the cellar of Merode castle. Many civilians also hoped to avoid the perils of war in the vaults of the cellar. Meanwhile the front had been pushed forward and was now only a few hundred meters away from Merode and Schlich. No civilian dared to step outside or even to cook a hot meal because the enemy artillery spotter in his airplane was always there to monitor and then called for artillery fire. Around November 20, 1944 heavy combat broke out near the Laufenburg, which had been a valuable artillery observation post for the Germans. The castle changed hands several times and both sides suffered heavy casualties. But after this stronghold had been lost all the German artillery could do was fire blindly into the enemy's hinterland. For precisely that reason, the main-combat line was shifted back to the Erbsweg. During these days the Americans slowly moved on Schlich and Merode without experiencing much resistance. 3rd Battalion of InfReg 26, lst U.S. InfDiv, attacked and took Jüngersdorf in the evening of 11/27/44. An immediately ordered counterattack by the paratroopers was defeated and the Germans were pushed back to the railroad embankment. Parts of lst and 2nd Battalion of Regiment 26 had reached the edge of the forest at Merode by 1 1/28/44 and they set up a forward artillery observation post in the forester's house (Gouwkens). While the battalion and company commanders gathered in the Laufenburg in order to discuss the assault on Merode and Schlich, the American artillery fired obstruction shoots on the villages, directed by that observation post in the forester's house. The two regiments were supposed to fight their way to the edge of the forest at dawn of 1 1/29/44. There they had to position themselves and wait for the order to charge. It was decided that the 1 st Battalion was to take up positions on the right wing, between Monschauer Weg and the edge of the forest at the Marienbildehen, while 2nd Battalion was assigned positions on the left wing, between Monschauer Weg and Allenweg to the forester's house. 1st Battalion was to advance first in order to take Schlich. 2nd Battalion was supposed to attack Merode a little bit later. A full company was set aside to attack Merode castle where the Americans expected the most opposition. Monschauer Weg to Merode were disabled by artillery fire and had to be vacated by their crews. l5th PioneerCompany of ParaReg 5 destroyed the tanks several days later. Most of the American companies had been battered in the artillery and mortar barrages. Said lieutenant told me that only 3 soldiers of his 80-men strong eompany had survived until that point. This number shows how high the American casualty rate was. Soon, the Americans lacked ammunition and the radios didn't work any more because the batteries of the devices had been used up. Simultaneously, in Schlich, all available forces of ParaReg 5 were gathered for a counterattack on the Americans who had infiltrated Merode. The regimental CO and proud bearer of the Ritterkreuz, Karl-Heinz Becker, led the attack personally. It also had the support of a Tiger panzer of the division. The paratroopers fired at every house in Merode, they shot grenades with panzerfausts down the shafts to the cellars in which the Americans were hiding. According to the report of a German paratrooper tow Sherman tanks were destroyed on the farm of Ignatz Hourtz; either by the Tiger panzer or by the paratroopers. Another paratrooper told me that the air pressure eaused by the explosions in the cellars killed many Americans. The next morning about 200 dead Americans were counted and 120 were led into captivity, including 10 officers. Americans who didn't cease to attack. But they were repulsed every time. On December 10, 1944 the Americans attacked Obergeich, Geich, and Echtz from their positions in Luchem and Lucherberg. They even reached the Rothaus. One day later, strong tank formations from Jüngersdorf and Langerwehe attacked Merode and Schlich along the embankment. This attack was observed by the commanding officer of VII U.S. Corps himself Merode and Schlich fell in the evening of 12/11/44 after heavy resistance against the attacking force that had considerable air support. Many dead soldiers, dead livestock, and destroyed military equipment covered the terrain. Many reports of German and American origin describe the severity of the struggle for these towns. Many a good comrade was left on the field of battle.